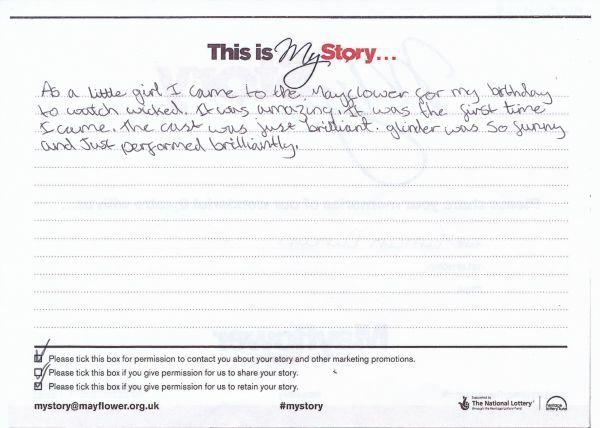 My Story card: Tamzin Duncan remembers coming to Mayflower for the first time and seeing Wicked. As a little girl I came to the Mayflower for my birthday to watch Wicked. It was amazing. It was the first time I came. The cast was just brilliant. Glinder was so funny and just performed brilliantly.